Having a delicious cold cola is very refreshing. 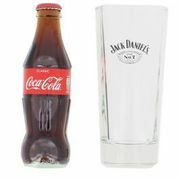 If you want to order cola products for a certain occasion or for regular consumption then you came to the right place. You can select from a wide variety of brands and you do not have to spend a lot of money. You can save as much as 90% on cola product bundles when you use the latest cheap cola UK vouchers. It is also best if you buy in volume to save more money. Purchase them from Amazon, ASDA, Poundstretcher, and other UK retailers. Find the best cola deals and special offers in the UK! Despite of UK's “sugar tax”, cola is still reigning supreme when it comes to the number of its sales. I mean, who does not want to occasionally take a sip of ice-cold bubbly cola? Survey shows that millions of Brits intake cola on a weekly basis, and there are quite a number of cola brands out in the market today. Whether you're looking into purchasing cola for an upcoming party, a small get together or to simply stock up on your fridge for personal consumption, you can always choose to purchase it for less with the help of Latest Deals. Our community of bargain hunters are always on the lookout for the best money-saving deals on cola merchandise and cola beverage itself. Be updated with the price rollbacks, sales, and discounted offers on colas by various UK retailers such as Amazon, Tesco, ASDA, B&M Stores and Sainsbury's. No matter what cola brand your loyalty lies with, Latest Deals got you covered. Do not forget to bookmark this page and never miss out on fantastic discounts and everyday low prices! Coca Cola. John Pemberton first invented cola in the late 19th century. It was intended to be a medicine. After he was able to come up with the recipe of the world-famous Coca-Cola or coke, Asa Candler, a businessman, created marketing tactics that blasted The Coca Cola Company on top of the soft-drink market. Pepsi Cola. Caleb Bradham created Pepsi Cola in 1893, and it was initially introduced to the market as Brad’s Drink. Pepsi is manufactured by PepsiCo. Pepsi cola was first sold in a drugstore, aiming to provide energy boost and aid digestion. Fentimans Curiosity Cola. Curiosity Cola is a product of Fentimans, a British brewery. Although it has a small alcohol content of 0.5%, it is still tagged as a soft drink, therefore, minors can purchase it. This carbonated cola soft drink comes in two glass bottle sizes: 275ml and 750ml. Lidl Freeway Cola. This cola brand is manufactured by Lidl, a German supermarket chain. This was presented to be a cheaper counterpart of major cola brands such as Coca-Cola and Pepsi. It comes with three variants: regular cola, light lemon flavour, and zero variant. RC Cola. A pharmacist in Columbus named Claud A Hatcher first developed RC cola in 1905. After they have launched Royal Crown Cola, they came up with various variants such as Diet Rite Cola, RC Cola Lemon, RC 100 Sugar Free, Cherry RC, RC Draft Cola, RC Cola Edge, RC Kick, RC Dra-Cola, Diet Cherry and so much more. Coke vs Pepsi. The Coke (Coca Cola) vs Pepsi Wars have been raging for over a century now, turning cola or soda into a multi billion dollar a year industry. But just who are the titans of this industry, how did they get to where they are, and which of them reigns supreme? 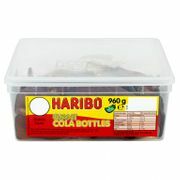 You can stock up on your cola fix online from various UK retailers like Amazon, Tesco, ASDA, BM Stores and Sainsbury's. 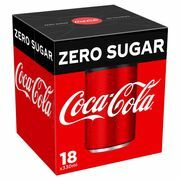 At Amazon’s Pantry, you can find cola offers by cans, bottles, or multipacks of top brands like Coca Cola, Pepsi, Fentimans, Barr, Dr. Pepper, and other generic cola brands. Tesco Groceries also have a good range of fizzy drinks and colas. They feature over 25 brands, and often puts up special offers like “Any 5 for £1.50”, and the like. Get to find regular colas, diet colas, and caffeine-free colas from various brands such as ASDA, Coca Cola, Pepsi, Fentimans, and more at ASDA Groceries' cola range. They also have special offers such as “meal deal” and daily price reductions you might want to take advantage of. At B&M Stores, you'll find an extensive range of soft drinks and colas that best suit your taste. Get to find low-priced colas from top brands like Pepsi and Coca-Cola. Find Pepsi Max 24 pack, Coca-cola multipacks, and more. Enjoy their daily price cuts on select cola offers. If you're looking for various special offers on cola, Sainsbury's is the place to be. They have meal deals and price cuts on almost all of their cola selection. So if it's savings you're after, you know what UK retailer to check. Helps you stay focused. We all know what caffeine does to our body. As soon as it enters our system, it helps us increase our focus and mental concentration. Just like a good cup of coffee, cola can do the same. So if you feel that you cannot keep your focus, a few sips of cola can do the trick. Increases energy level. If your energy level is running low, you can boost it up with a buzz of sugar. Since cola is packed with sugar, it has the capability to get you going. Helps with digestion. Doctors have found that cola can help greatly in moving food through the digestive tract. A glass of cola can provide treatment for those who are suffering from gastric phytobezoar. This is because of cola’s high acidity. It has the ability to break down blockages to clear the way for faster movement. End nausea. There has been a debate regarding the effects of cola on people suffering from nausea. Whatever the effect it may be, it is undeniably that sugar intake can definitely make you feel better.